We throw around the term “allergy season” a lot, but the reality is there isn’t one season when everyone’s allergies collectively flare up. 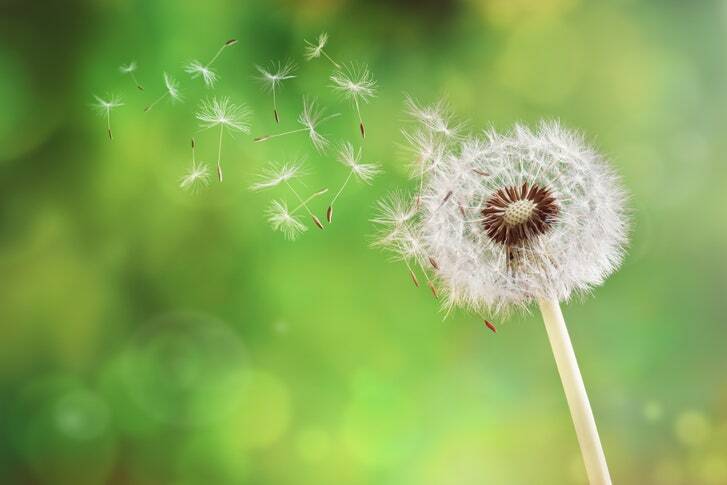 “‘Peak’ allergy season varies for each individual depending on what they may be allergic to and the region of the country they live in,” Sindhura Bandi an allergist and immunologist at Rush University medical center tells Allure. That said, none of that is an exact science. “In areas that do not experience frosty conditions, certain allergens may persist for longer seasons,” Bandi says. “In addition, with the more temperate climates we have been seeing nationally, certain pollen seasons are lasting for longer than usual.” And as if that weren’t enough, there are also perennial allergens that persist year-round, such as dust, pet dander, and some types of mold. Darria Long Gillespie a clinical assistant professor at the University of Tennessee College of Medicine and head of clinical strategy at Sharecare, explains that seasonal allergies are only present during peak pollination times of specific allergens (like the aforementioned trees, grass, mold, and ragweed). Perennial allergies are not only present all the time, but they’re also caused by different allergens, with the exception of mold, which can cause both seasonal and perennial allergies. Instead of plants, Long Gillespie says that year-round allergies are typically triggered by insects (like dust mites and cockroaches) and animals (cats and dogs). Long Gillespie also says that nasal rinses, such as neti pots, can clear pollen out of your nose before the allergy symptoms start. If you go that route, be sure to closely follow the FDA’S safety recommendations. Whatever your specific trigger, Long Gillespie also recommends cleaning all air, duct, and air conditioner filters before allergy season begins each year. This general information is not intended to diagnose any medical condition or to replace your healthcare professional. Consult with your healthcare professional to design an appropriate treatment plan.